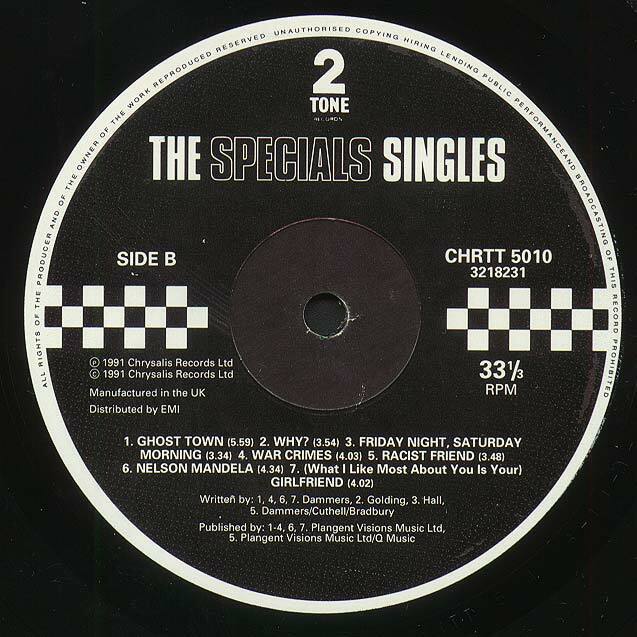 Released shortly after the US Specials Singles Collection and Specials VHS, This was a more sensible compilation than it's american counterpart. Better still would have been not to fuse the two very distinct bands into one collection, but no suprises there really. Pretty much covering the two bands output in chronological order, A Message To You has become Rudi, A Message To You, and Skinhead Symphony, Rude Boys Outa Jail, Maggie's Farm, Bright Lights, Break Down The Door & Can't Get A Break were the flip sides that drew the short straws, and were dropped from the compilation. 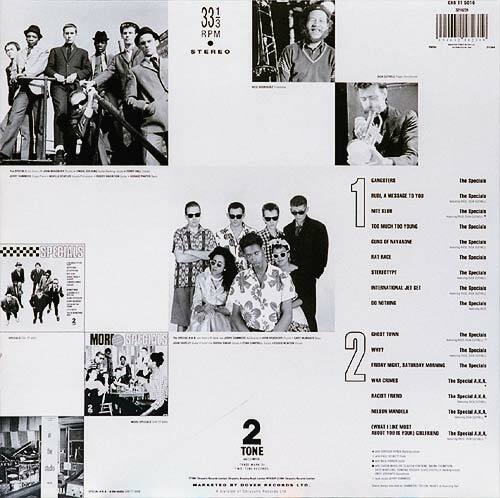 The inner sleeve has a nice collage of 2 Tone odds & ends, including some rough draft pencil drawings of the label design. My main gripe with the compilation is the mix of Do Nothing, which is the same recording as the single release, but with a different mix of the vocals, it's sounds like they're singing in another room. Bizarrely, this mix found it's way onto the US counterpart also and ruins a play through of the album for some. 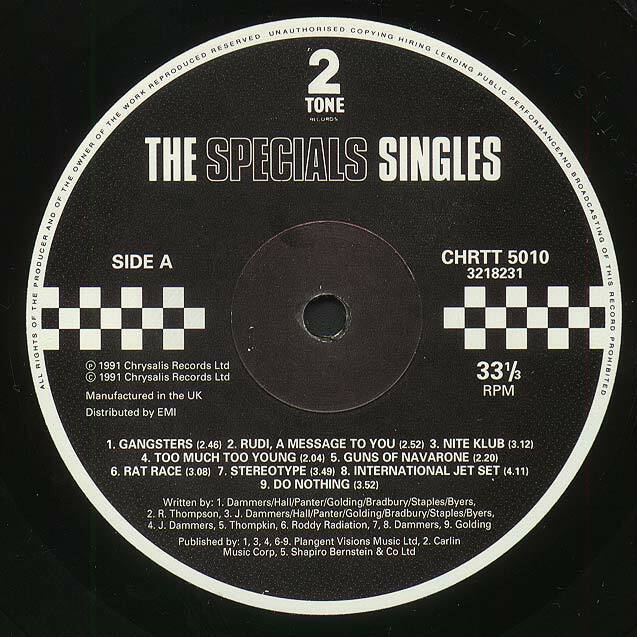 The Specials Video compilation that preceded this release, was reissued with the same catalogue no. 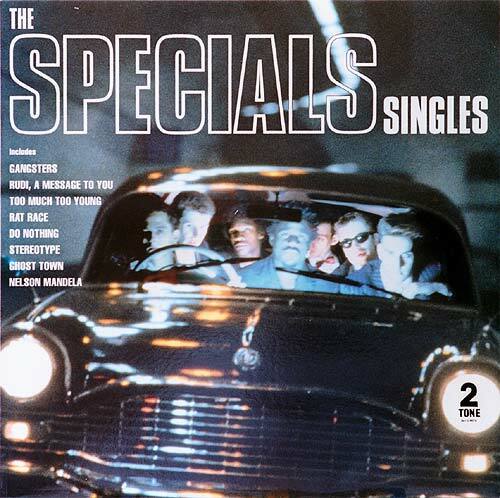 but a new sleeve to tie it in with the promotional campaign for Specials Singles.